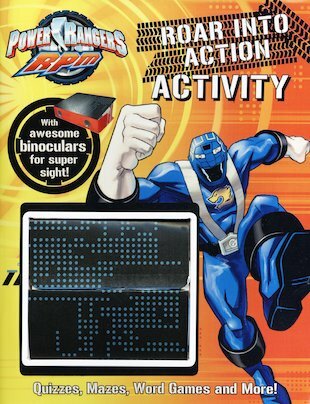 Gear up for baddie-busting fun with these power-packed puzzles and activities – including cool binoculars that give you superhero sight! Armed with your wits and awesome weaponry, can you help the Power Rangers to fight Venjix’s evil droid forces, and save the city of Corinth from destruction? Roar into action and find out!